Aubree Necklace Set is equally wearable from this season to the next. Silver-tone metal links in three different sizes suspend from thin chains. The earrings have chain link danglers. 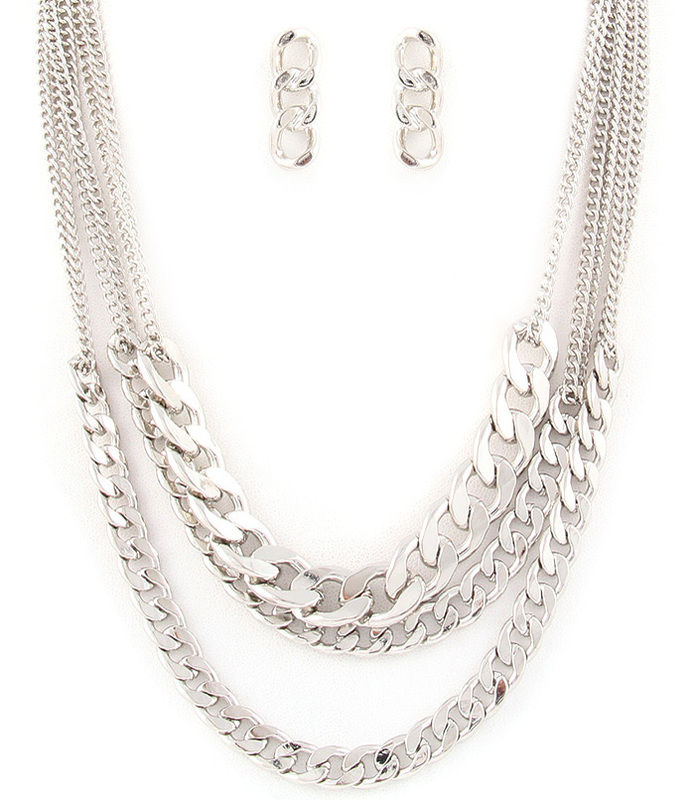 Take advantage of our affordable cheap necklace sets online and buy here now.